My love of RPGs and my addiction to “World of Warcraft” in my teens. 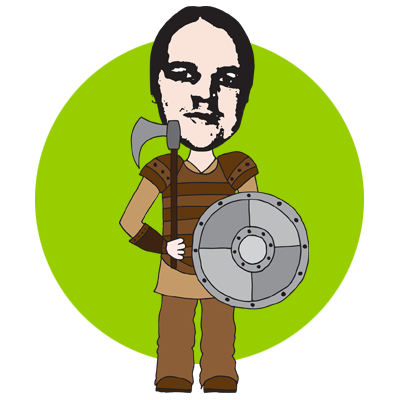 It shows me in my barbarian leathers with a battle-axe in one hand and a Viking shield in the other. My dad and I have collected every book ever written by Terry Pratchett, in first edition. While messaging on the fan boards of the author, I received a message from him personally, congratulating us on our collection. Wise Man’s Fear – Patrick Rothfuss.